Most times it can be a circuit breaker that has simply tripped or a fuse has blown. Though the fix may still be simple, it would be a good idea to have a trained professional maintenance your system yearly to avoid emergencies.. 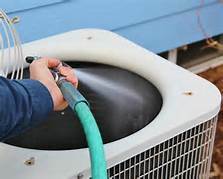 When a heating or cooling system malfunctions, any one of its three components; a/c or heat source, distribution, or control on the wall or at the equipment causing the problem. If the furnace or air conditioner doesn’t run, the malfunction is probably at the source. The furnace or air conditioner may have lost power. If the furnace or air conditioner turns on but the warm or cool air isn’t reaching the rooms of your home, the problem is likely to be the blower or distribution system. And a faulty control, or thermostat, could keep the system from turning on or could cause it to turn on and off repeatedly. In most cases, all it takes is remembering to request a contractor for maintenance before the problem occurs. It is recommended by Energy Star that you have your heating - air conditioning system tuned up at least once a year. Maintain your equipment to prevent future problems and unwanted costs. We recommend that you leave the care of keeping your heating and cooling system at peak performance to us by obtaining a Maintenance Agreement to do annual pre-season check-ups. We get busy once summer and winter come, so it's best to check the cooling system in the spring and the heating system in the fall. Call 778-1020 for more information. • Check controls of the system to ensure proper and safe operation. Check the starting cycle of the equipment to assure the system starts, operates, and shuts off properly before Cooling Season. • Clean evaporator and condenser air conditioning coils. Dirty coils reduce the system's ability to cool your home and cause the system to run longer, increasing energy costs and reducing the life of the equipment. • Check your central air conditioner's refrigerant level and adjust if necessary. Too much or too little refrigerant will make your system less efficient increasing energy costs and reducing the life of the equipment. • Clean and adjust blower components to provide proper system airflow for greater comfort levels. 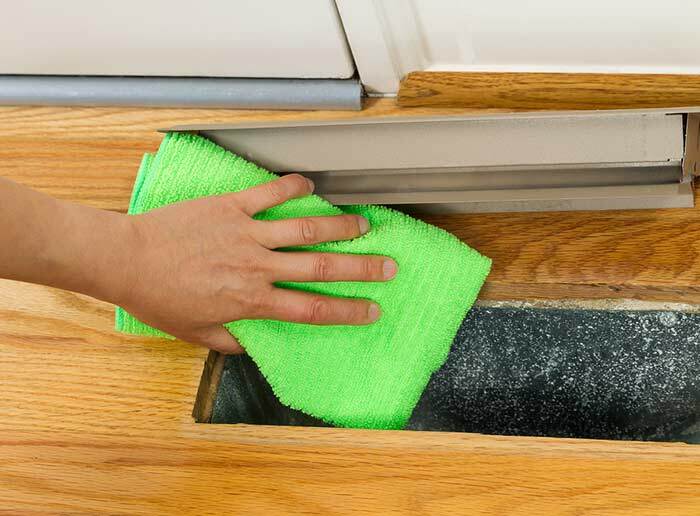 Airflow problems can reduce your system's efficiency by up to 15 percent. 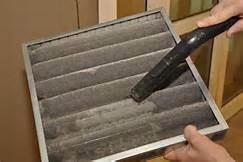 Check and replace your air filters often.The most important thing you can do at home is inspect your air filter. Dirty air filters make your HVAC system less efficient and cause undue strain on its working parts.Set a reminder each month to check your air filter and replace it if it is dirty or clogged. While the general rule is to change your filter every 30 to 90 days, they may need to be replaced more often if you have pets or open your windows often.Another thing to consider is purchasing a new high-efficiency pleated air filter. The folds in these filters trap more small particles than traditional filters, keeping your system clean and your family healthy. If your system does require preventative maintenance, it is best to schedule your check-up for the cooling system in the spring and your heating system in the fall, before All-Air Ltd can get busy. HVAC professionals will check your system for problems, adjust loose bolts and wires, and address any other issues you may have.